I think about things that might have been and never were. As a result, I tend to write about things like possibility, nonexistence, fiction, the imagination, and make-believe. I moved to Hamburg having spent three years as a “Juan de la Cierva” researcher at the University of Barcelona, where I was a senior member of the LOGOS Grup de Recerca. Prior to my stint in Barcelona, I was a lecturer in the Faculty of Philosophy and the University of Cambridge, before which I held two postdoctoral research fellowships at the Centre for Metaphysics and Mind, which is attached to the Philosophy Department at the University of Leeds. The first of these was funded by the lovely people at the Analysis Trust. Back in the day I was PhD student at the University of Sheffield, where I was supervised by the one and only John Divers. My thesis assessed fictionalist accounts of possible objects. I am presently turning my thesis into a more general book assessing the prospects for fictionalist strategies in metaphysics, which will be entitled Once Upon a World. I am the proud father of three wonderful cats: Romi (grey), Maggie (black), and Little Leo Lion (bowl). I spend alot of time making noise in the black hole that is modular synthesis. As I result, I often dream of wires. My research interests are located in metaphysics (esp. modality, fictionalisms, ontology, metaontology, indeterminacy), the philosophy of language (esp. 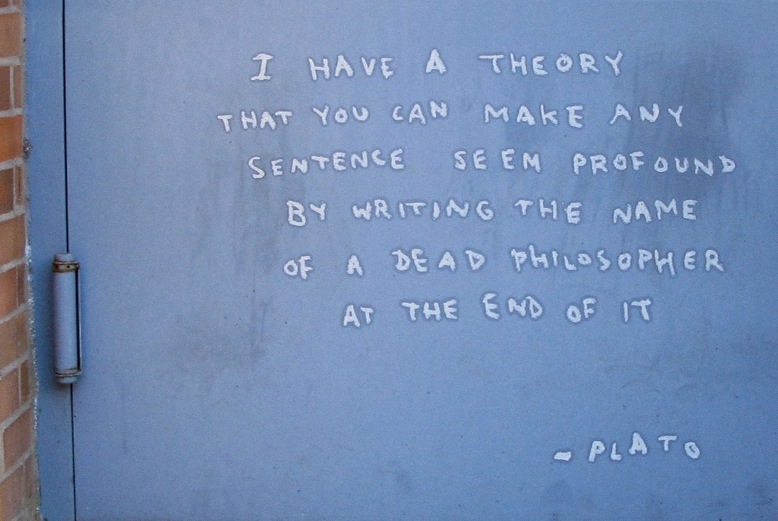 conditionals, vagueness, metasemantics, empty representations), the philosophy of logic (esp. logical consequence, the semantic paradoxes), and aesthetics (esp. fiction, depiction, photography, the imagination). For updates, I keep a list of publications over on Academia.edu. Ersatz Counterparts. Oxford Studies in Metaphysics. Noneism, Ontology, and Fundamentality. Philosophy and Phenomenological Research (with Tatjana von Solodkoff). Towards Being. Philosophy and Phenomenological Research. Metaphysical Indeterminacy and Vague Existence. Oxford Studies in Metaphysics. Worldmates and Internal Relatedness. Philosophical Studies. Critical Study of A Companion to Quine. Notre Dame Philosophical Reviews. The Things That Aren’t Actually There. Philosophical Studies. Interactivity, Fictionality and Incompleteness. The Aesthetics of Videogames (with Nathan Wildman). To Have and To Hold. Philosophical Issues (with Tatjana von Solodkoff). Fictionality and Photography. The Journal of Aesthetics and Art Criticism. Identity in Fiction. Philosophy and Phenomenological Research. Walton on Fictionality. Philosophy Compass. Truth in Fiction. Philosophy Compass. Fictionalism and Inferential Safety. Analysis. Why Modal Fictionalism is not Self-Defeating. Philosophical Studies. Is Modal Fictionalism Artificial?. Pacific Philosophical Quarterly. In addition to working on my book on fictionalism, I’m working on bunch of papers, including stuff on ontological simplicity, fictional incompleteness, interactive fiction, and the aims of inquiry. In the medium term, it seems alot of my work is heading into issues relating to oughts: what we ought to believe, how we ought to imagine, which concepts we ought to prefer, and so on. I have long term plans to work further on various issues in aesthetics, particularly those concerning photography, sonic art, and the imagination.